In the Emergency Room Dictionary artist Thierry Geoffroy / aka Colonel unfolds his visions about establishing an art that will be more citizen-like, an art based on another artist role, a structure where the artist could be able to react on politics and emergencies right here, right now, and an art that functions like a nerve where the artist will be constantly testing democracy. Beside its recipe aspect, envisaged to encourage and establish emergency art, the dictionary also, boldly and humorously, describes the atmosphere of the art world today: the destructive coolness, the apathy, the sponsors? influence. 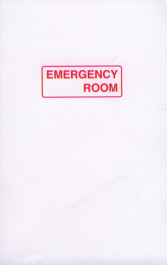 Emergency Room is an existing launch pad for artists burning with desire to engage in the current debate. It is an exhibition space where artists comment on the emergencies today, today the present day, today before it is too late. Artists are thermometers for dysfunctions of society. They are the visual experts and Emergency Rooms give them immediate visibility as well as day-to-day platforms for meeting, exchange and debate with audiences around the world. Through Emergency Room, artists can react every day. They scan the emergencies of today and respond to their discoveries of conflicts and discrepancies. 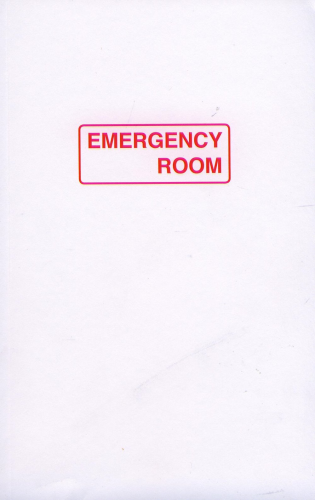 Emergency Room is a format that has been successfully launched in New York, PS1 / MOMA 2007; Berlin, Galerie Olaf Stueber 2006; Denmark, Nikolaj Contemporary 2006; Athens, Ileana Tounta Gallery 2007; Napoli, PAN 2009; Paris, Galerie Taïss 2008; Hanoi University of Fine Arts 2009. Upcoming Emergency Room: Beograd, Kulturni Centar Beograda, 2011. Thierry Geoffroy /aka Colonel started to activate the concept of the Ultrafast exhibition in 1989.